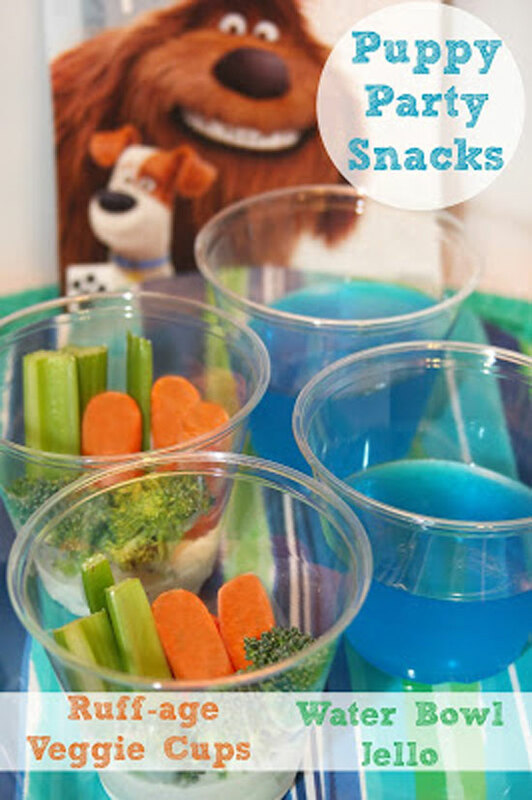 Perfect for Paw Patrol and Puppy Dog Pals fans, make planning the birthday party menu easy with these cute and creative puppy themed party food ideas. True story. My grandpa ate a dog treat. I’ll never forget it. And the best part is that he didn’t seem phased at all. I guess after fighting in World War II and beating cancer, eating a dog treat didn’t seem like the end of the world. 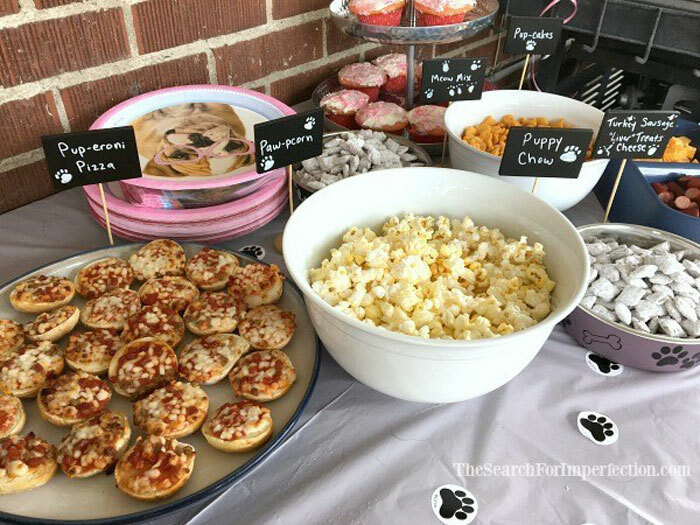 But if you’re dealing with a puppy-crazed kid like my 3-year-old son, you may be wondering what on earth to serve at the puppy themed party that they dream of. Well, you don’t have to resort to serving actual dog treats. 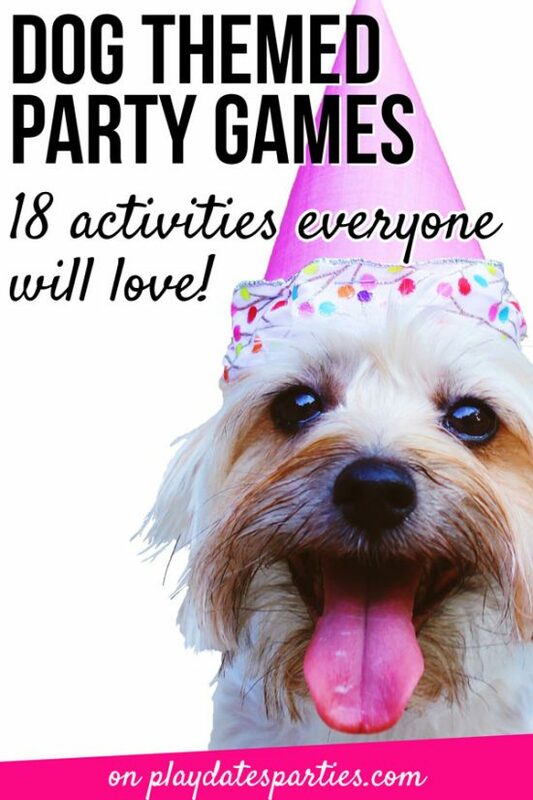 But there are a ton of ideas out there that are just beggin’ to be used at your party! Now, before we get started, I’m going to be honest and tell you that this list fits best with buffet style parties. That also happens to be my favorite way of serving food to guests. If you choose the right foods, it’s easier on you and everyone has plenty to eat. I find it’s easiest to rename favorite party foods with cute and clever nicknames. But but a few of my blogging friends agreed to let me share some of their paw-some homemade treats too! Before we get started with naming everything, let’s talk about presentation. Because presentation is everything. Thankfully, there are plenty of options with this theme. Build-your-own bars are a fantastic way to feed a crowd. And I love that this menu card offers ideas themed for a Paw Patrol Party. You could also adapt this to use different breeds of dogs for each type of condiment combination too! 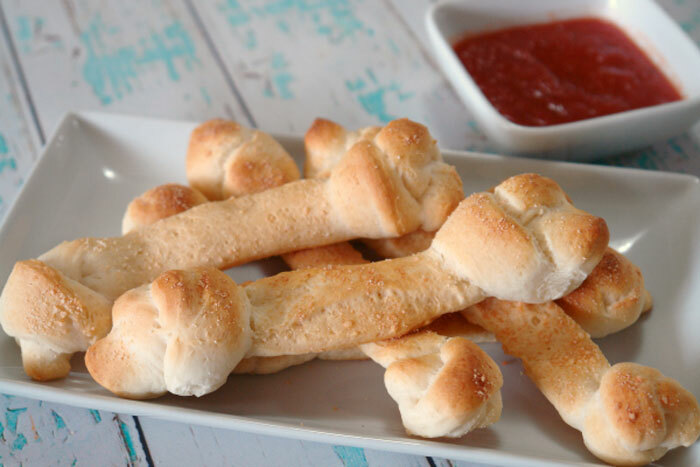 If you’ve got time, you can make breadstick bones like Retro Housewife Goes Green. There really is nothing quite like homemade bread, and your guests will think you’re amazing! Now, if you’re hosting the party at snack time, you don’t necessarily need to worry about main course ideas, or heavy foods. But if the party will run into lunch or dinnertime, then it would be a good idea to include some of these ideas. 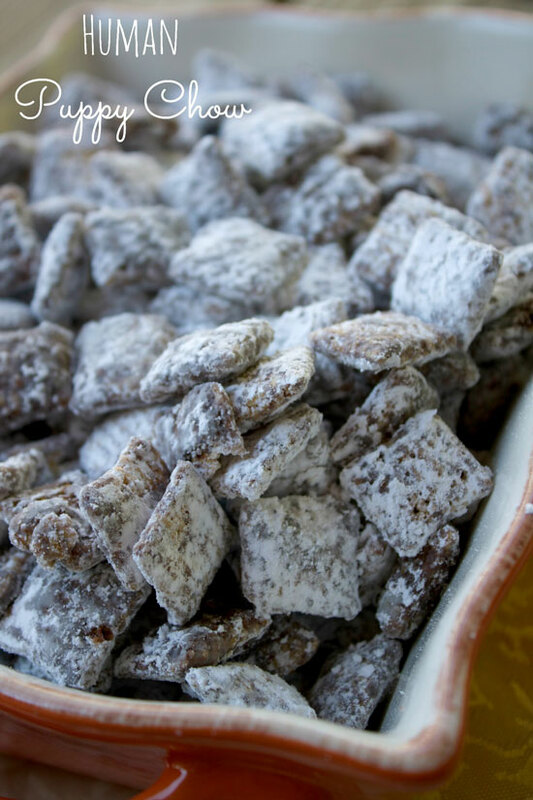 Perhaps the easiest is to make Puppy Chow! You don’t even need to change the name. There are literally hundreds of different recipes out there, but Mom Luck shares a classic version that’s super easy for a kids party. Twizzlers can also be called Chew Sticks. Make your favorite candy “Bark” recipe and put it out for everyone to enjoy. There aren’t a lot of ideas out there for puppy themed food names at the beverage station. And mostly it’s because “paw,” “ruff,” and “bone” just don’t work as well with drinks. But that doesn’t have to stop you. Every kid will tell you that the best food at a party is the dessert. 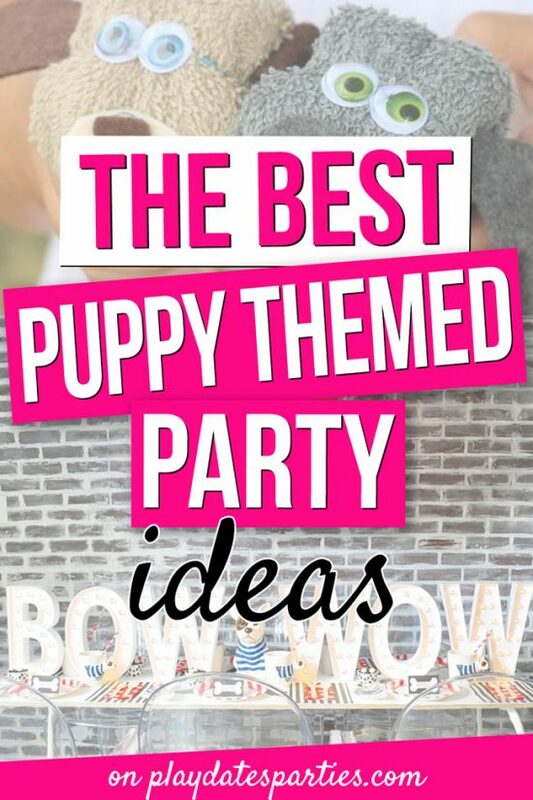 And there are so many ideas out there that I could write a whole separate post on puppy themed party cakes and cupcakes. (And if you’d like that, let me know in the comments section!) 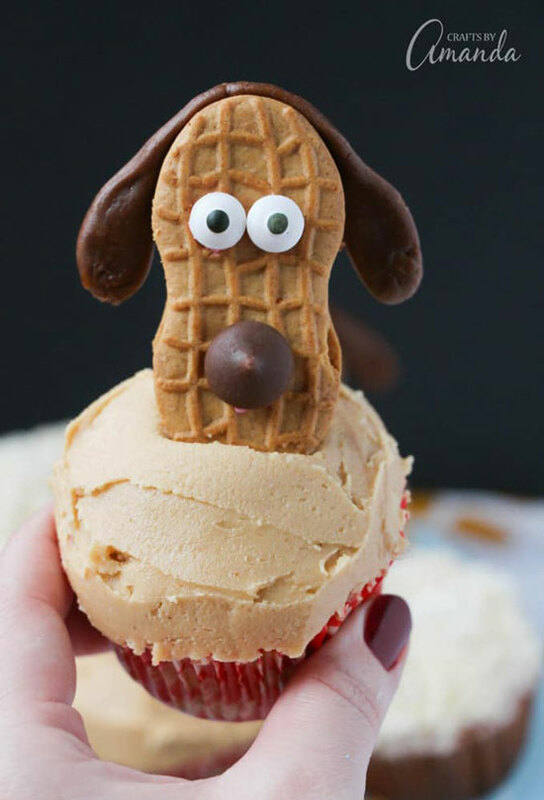 But I just couldn’t pass up sharing these pup-cake ideas! Nikki over at Tikkido has some serious crafting and baking skills. 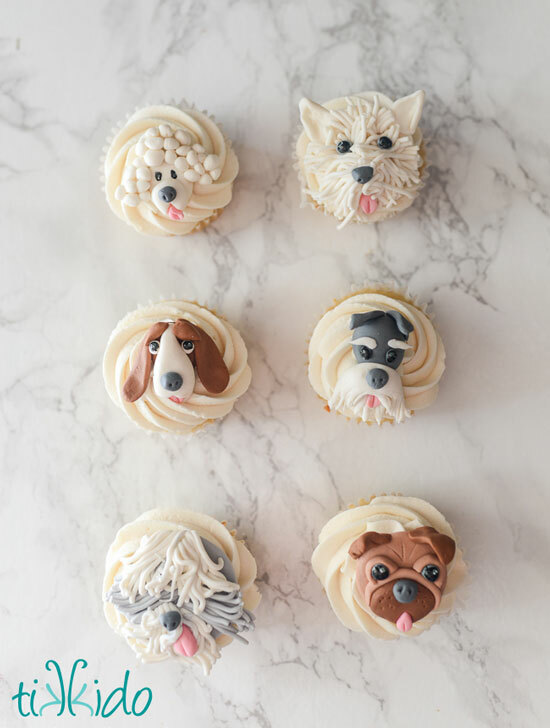 And if you’re up for the challenge, I think all your guests would go gaga over these amazing puppy cupcake toppers. 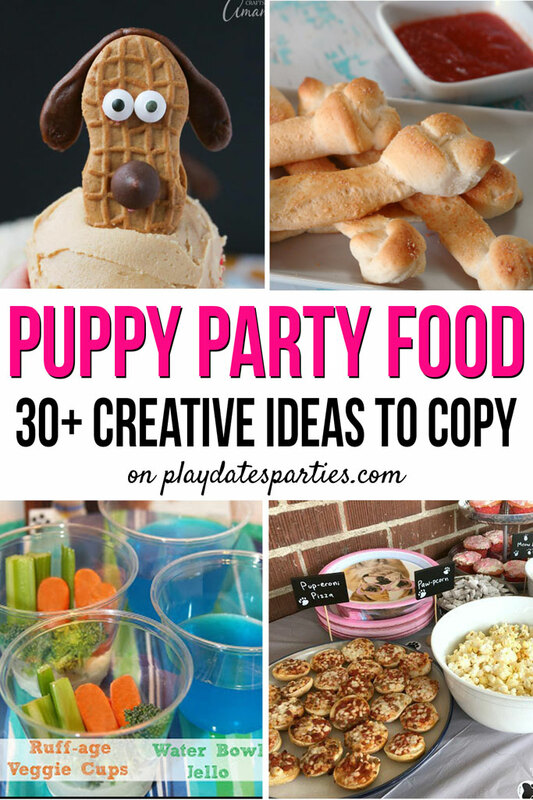 Which of these puppy themed party foods would you serve? Is your kid a bigger fan of Paw Patrol or Puppy Dog Pals?